Whenever the future of Gozo’s ODZ area is the focus of debate, two diametrically opposed and trenchant positions always emerge – the one of the conservationists, who wish to spare the sister island the ravages of wanton ODZ destruction witnessed in Malta, and the one of those who are resolutely and unashamedly in favour of more development in Gozo. The latter category normally accuse the former of aspiring to retain Gozo in a mothballed and stagnant state, economically speaking, best symbolised by the use of the term presepju (crib), which is freely used in such cases since it depicts a model of yesteryear frozen in time. The ongoing, raging debate about the proposed Gozo tunnel has further deepened the chasm between the two camps, with concerns rightly being floated about the impact on property demand in Gozo and on vehicle numbers, just to mention two obvious downsides, that the tunnel would exert. These concerns are sacrosanct and legitimate given the profuse daily commuting of vehicles to Gozo (which amounts to an average of 7,000 vehicles per day, using NSO 2017 statistics) and the frequent traffic-congested condition in Victoria so reminiscent of the gridlock in Malta. As for those mindsets that advocate an exclusive Gozitan decision on the matter, I will not even go there, considering how blinkered such an argument is, especially when one considers the considerable stake that the Maltese visiting Gozo, the largest tourist profile by far, have. Surveys and polls assessing the mood out there with respect to the proposed tunnel tend to give further vent to this parochial view by residing disproportionately on the view of Gozitans, who are always framed as massively in favour of the tunnel project (although this is not a given, with many Gozi­tans expressing misgivings). Politicians in both camps are receptive to such a significant statistic and thus fully endorse the execution of the tunnel project on the justification that ‘the Gozitans want and need it’. But such a parochial view has hardly ever been applied when major developments have been proposed in other regions of the islands. The ranking of the project among the hierarchy of priorities for Gozo is yet another perspective worth exploring, given that there are probably more pressing infrastructural issues to address in Gozo with just a fraction of the massive financial outlay anticipated for the tunnel. Why not assess the real impact on waiting lines in Mġarr of the fast ferry service and of the fourth ferry, so as not to render the tunnel project an expensive white elephant? The treatment of agricultural waste immediately springs to mind given its direct influence on the quality of treated sewage spewed along the southwest coast of Gozo. A few have rightly underscored the non-reversibi­lity of the subsea tunnel project, indicating that the two viable alternatives (or supplements) to the tunnel at the moment – i.e. a fourth ferry and a fast ferry service – should be allowed time to prove themselves. I tend to subscribe to this line of reasoning: why not assess, over a period of at least one year, the real impact on waiting lines in Mġarr of the fast ferry service and of the fourth ferry, once these materialise, so as not to render the tunnel project an expensive white elephant? Tunnel proponents often bandy about prototypes of archipelagos abroad which are renowned for their subsea tunnel prowess. The Faroe Islands, with their two fully operational subsea tunnels, spring to mind. However, any parallels are short-lived given that frequent treacherous sea conditions in this part of the northeast Atlantic frequently stall the ferry service, with the distances between each island being much higher than the five-kilometre pittance of a crossing to Gozo, thus rendering the tunnel developments an essential requisite. The motivations for subsea tunnel development in Norway are similar. A number of myths surrounding the tunnel development need debunking. These include the co-existence of tunnels and ferry services, and a toll-free tunnel service, which was not even possible in the Faroe Islands (despite massive subsidies from the Danish government) due to continuous maintenance works mainly related to the daily pumping out of water that leaks into the tunnels. Yet another myth revolves around the perceived environmental impact of the proposed tunnel, often suggested to be minimal, which ignores the massive ODZ land uptake at the hamlet of L-Imbordin in Malta and in Nadur in Gozo (the tunnel entry points) that this will entail, as well as the gargantuan volumes of excavation waste that will be generated. But probably a more insidious impact of the proposed tunnel is a less obvious but nonetheless very real one: the expected spike in property prices to be triggered on the sister island. You don’t need to be too well-versed in the dynamics of the property market to deduce that, once prices rise, so does the incentive to develop new properties as profit margins widen. 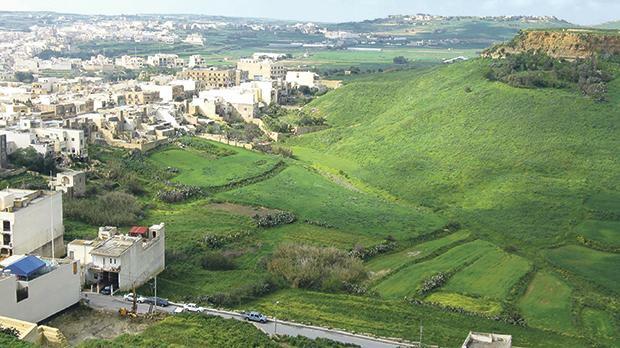 A better connectivity to the sister island will bolster its attractiveness for property purchase, both by those seeking a second, holiday property in Gozo, and by those seeking a rental investment. No wonder that the Malta Developers Association (MDA) has come out so strongly in favour of the tunnel, with only Anġlu Xuereb going against the grain and denouncing such plans. Bottom line is that the die seems to have been cast with respect to the Gozo tunnel, with politicians scrambling over each other to deliver to Gozitans the holy grail they have been promised for so long. This will dispatch the presepju narrative of Gozo to the history books once and for all. I am not sure this will be cause for celebration.